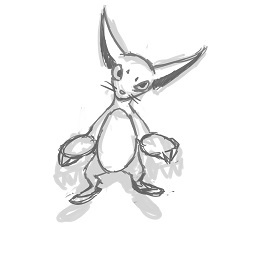 current 23:00, 17 August 2016 256 × 256 (11 KB) Sanglorian (Talk | contribs) Category:Art Category:Main Category:Unidentified Monster Category:Kyu [Weasel] Type: Earth Description: Mischievous little buggers. I've lost several pairs of underwear to them. This page was last modified on 29 July 2018, at 05:09.